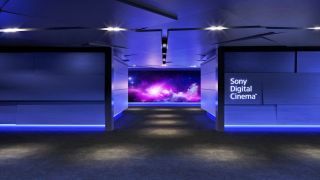 Sony Electronics recently introduced its Sony Digital Cinema—the company’s experiential premium large-format (PLF) movie theater auditorium—and the first install is set to debut at Galaxy Theatres' Las Vegas Boulevard Mall venue, which is planned to open in spring 2019. Sony Digital Cinema is a new experience for PLF theaters that includes Sony’s dual laser projection system—which the company says provides exceptional picture quality and immersion—along with powerful sound and luxury reclining seats. The auditoriums’ high-contrast projection systems authentically bring filmmakers’ stories and vision to life with a vibrancy that matches their original intent. The first location, at Galaxy Theatre’s deluxe Boulevard Mall site, will be the largest auditorium in the Las Vegas market, further enhancing Galaxy’s distinction as the Best Movie Theater in Las Vegas, according to Las Vegas Weekly and Las Vegas Review-Journal.